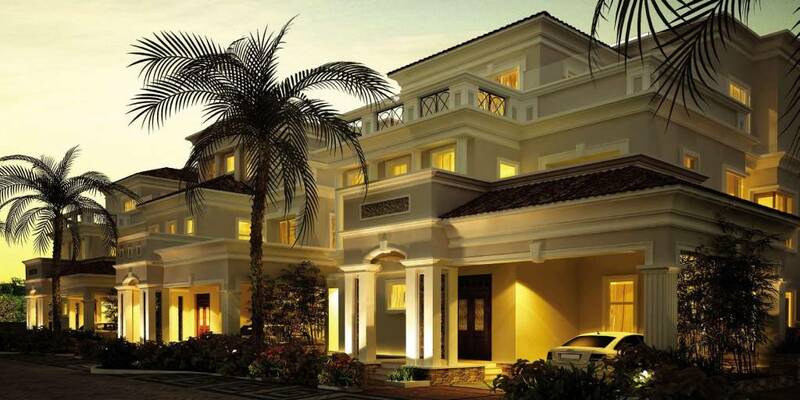 77° East from DivyaSree Groups is a symbol of eminence, luxury and distinction. This township extends over a verdant land parcel of 18 acres and is a part of an expansive 60 acre 77° Town Centre premise. This housing enterprise offers master-planned, awe-inspiring 89 pre-designed &amp; customisable private residences within the city limits. 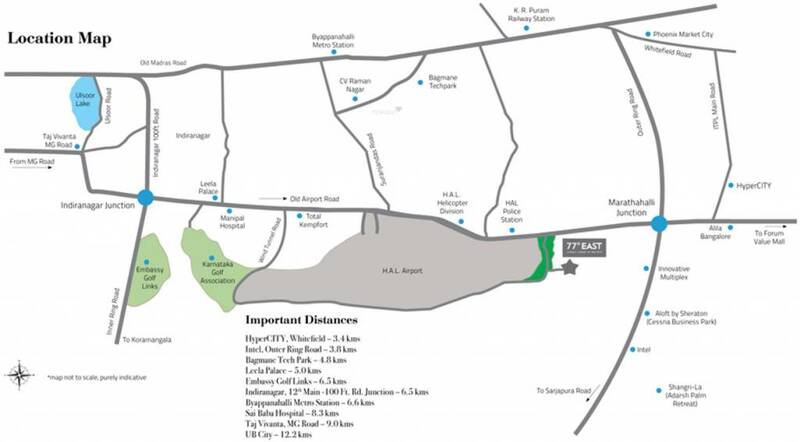 The premise is strategically located in Marathahalli, on Old Airport Road, just 5 Km away from Leela Palace, Bangalore. The abodes are exquisitely outlined with world-class facilities and features. The presence of uptown interiors, exteriors and specifications induce royalty in every inch of your abode. Wide windows and private garden spaces supplements abundant ventilation and positive aura. 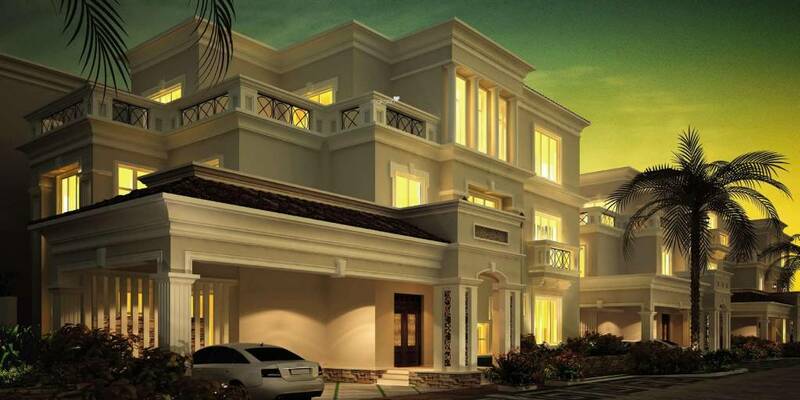 The premise is enveloped with beautiful landscaping and water bodies that adds to the grandeur. 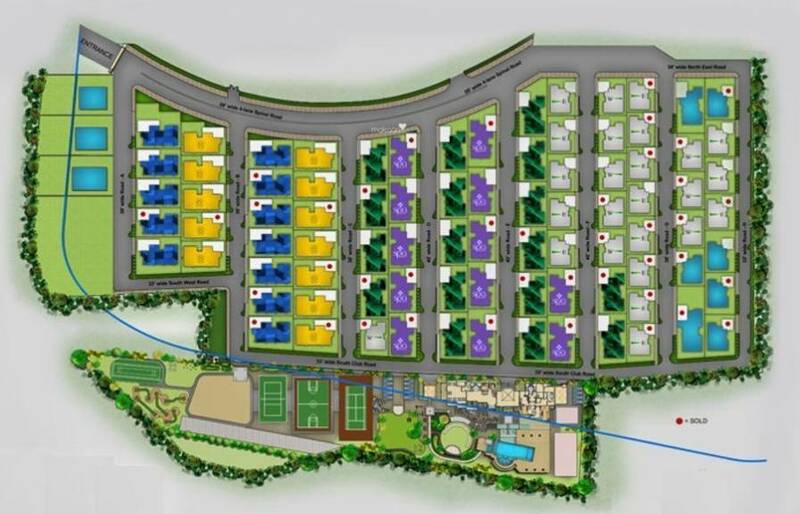 The project encompasses a host of amenities that commits to give its residents an alley to live life to the fullest. DivyaSree 77° East is located in Marathahalli, on Old Airport Road, Bangalore. This township is just 9 Km away from MG road, one of the prime locales of the city. The neighbourhood includes all required social conveniences like good schools, colleges, health-care units, shopping malls, banks, super-markets, entertainment hubs and restaurants. The presence of good social and physical infrastructure makes it a favourable residential destination to dwell in.